Oscars show host Seth MacFarlane and actress Emma Stone announced the nominees for the 85th annual Academy Awards this morning at the Academy of Motion Picture Arts and Sciences’ Samuel Goldwyn Theater in Beverly Hills. The award show telecast will air on Sunday, February 24 at 8:30pm ET/5:30pm PT on ABC. 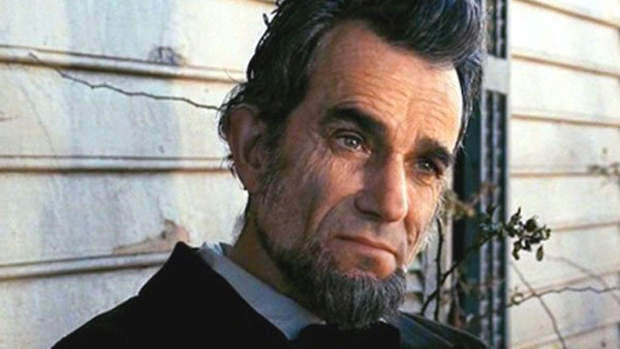 Not surprisingly following the buzz this year, Steven Spielberg’s Lincoln is the nomination frontrunner, earning 12 nods including Best Picture, Best Director, Best Adapted Screenplay, Best Actor (Daniel Day-Lewis), Best Supporting Actor (Tommy Lee Jones) and Best Supporting Actress (Sally Field). Life of Pi edged out Zero Dark Thirty and Les Misérables–both considered potential frontrunners–for second-place with 11 nominations. The film was nominated for Best Picture, Best Director (Ang Lee) and Best Adapted Screenplay, as well as a host of well-deserved technical categories–including Best Cinematography (Claudio Miranda), Visual Effects (Bill Westenhofer, Guillaume Rocheron, Erik-Jan De Boer and Donald R. Elliott) and Film Editing (Tim Squyres, who was interviewed by Scott Macaulay here). 2012 indie stand-out–and Filmmaker favorite–Beasts of the Southern Wild also made a strong showing. The film garnered nominations for Best Picture, Best Director (Benh Zeitlin), Best Adapted Screenplay, and Best Actress (9 year old Quvenzhané Wallis, coming in as the youngest nominee ever in the category). The Best Picture section was rounded out by: Amour, Argo, Django Unchained, Les Misérables, Silver Linings Playbook and Zero Dark Thirty. Amour‘s Michael Haneke and Silver Linings Playbook‘s David O. Russell also complete the Best Director nominations. Best Actor nominees are: Bradley Cooper (Silver Linings Playbook), Daniel Day-Lewis (Lincoln), Hugh Jackman (Les Misérables), Joaquin Phoenix (The Master) and Denzel Washington (Flight). Best Actress: Jessica Chastain (Zero Dark Thirty), Jennifer Lawrence (Silver Linings Playbook), Emmannuelle Riva (Amour), Quvenzhané Wallis (Beasts) and Naomi Watts (The Impossible). Best Supporting Actor: Alan Arkin (Argo), Robert De Niro (Silver Linings Playbook), Philip Seymour Hoffman (The Master), Tommy Lee Jones (Lincoln) and Christoph Waltz (Django Unchained). Best Supporting Actress: Amy Adams (The Master), Sally Field (Lincoln), Anne Hathaway (Les Misérables), Helen Hunt (The Sessions) and Jacki Weaver (Silver Linings Playbook). For a complete list of nominees, visit oscar.go.com/nominees.